Choosing a curtain fabric for your living room or bedroom doesn't have to be a difficult choice, in fact, the entire process can be fun and easy. 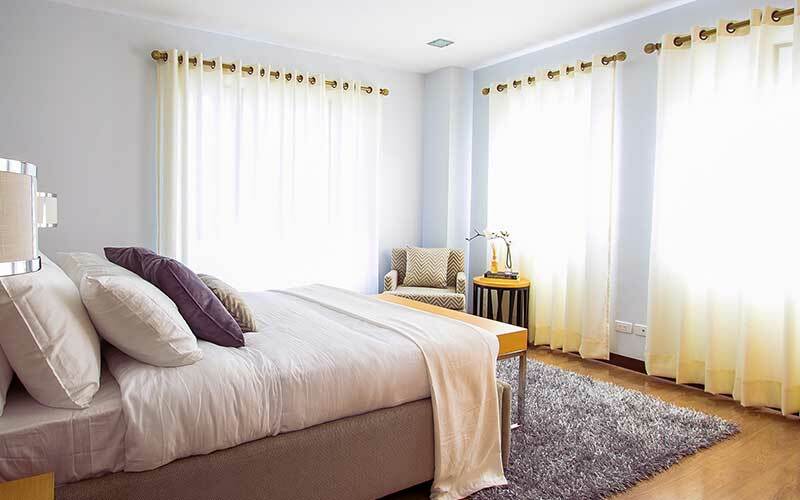 Here are 5 things to consider to help you choose the best fabric for curtains. Start by going with your instinct and choosing a fabric that you like. The great thing about curtain fabric types is that it does not have to be durable because it won't get a lot of wear and tear. You can also even use the reverse side of the fabric for curtains because you're not sitting on it. Once you decide on the fabric it's also important that you put a lining on the backside so that you can't see the color or pattern of the fabric from outdoors. The lining will also help prevent fading as well. 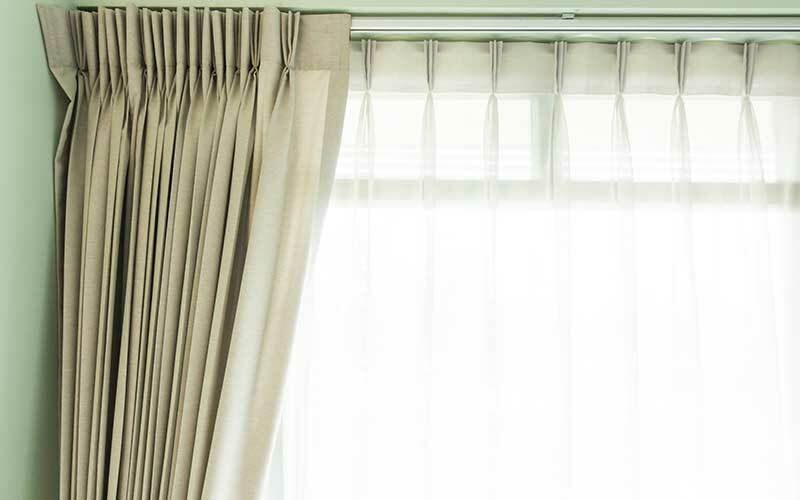 Some of the best curtains for the living room right now are pleated drapes. They can be either pinch pleated drapes or Euro pleat drapes. Euro pleat drapes are actually on trend. They have a 3-fold pleat at the top of the drapes that make them fall elegantly to your floor. If you are going for a more contemporary look then you will probably want to choose grommet curtains. If you prefer traditional then pinch pleat would be the best choice for living room curtains. When choosing a curtain fabric color, it's best to pick colors that you like. For example, if you start with your home and you have, let's say a sofa that's red, then you want to pick out something that would compliment that red color as opposed to choosing something that will collide with that color. I will often choose a neutral tone curtain because you put a lot of money into your curtains, therefore, if you keep them neutral, it will be a better investment long-term. Neutral colors would include colors like beige and gold. You can also change your pillows other other accents in a room to add a splash of color when you like. 4. What Are Curtain Length Rules? One of the questions we often get asked when it comes to choosing the best fabric for curtains is, "what are curtain length rules or how do I choose the right length for my living room or bedroom curtains?" If your window is, let's say 84 inches and you've got 12 inches up above it, I split the difference. I raise it up to make the room look taller. I usually let the drapes hit the floor at about one inch unless the customer requests otherwise. You Might Also Like 5 Easy Ways To Bring Inside Decor Outside! A Roman shade with panels in a bedroom is very pretty. A Roman shade is a pleated shade that goes up and down whenever you let it down, it's flat. Your Roman shade could also have the pattern on it. A blackout curtain gives you a barrier from the light coming in especially if you sleep during daytime hours. If you are doing a roman shade in your bedroom, I would definitely recommend blackout curtains. At Bob's Upholstery and Decorating Center, we custom make all of our curtains here. We also have a small line of "readymades" that you can have within a week's time. With the "readymades" you get to pick the length that you want, you pick the fabric, we put the trim in and you decide which pleats you want. At Bob's we love curtains and we always put a nice four-inch hem in the bottom of the curtains that we do. A lot of people don't do that hem where it's double folded, and it looks really nice. We've been in business since 1960. We take pride in everything we do. If we wouldn't have it in our house, then we wouldn't put it in your house. Need help with your next project? Visit us at 2316 Canton Road in Marietta, GA or give us a call at 770-421-1278.